This is a Heroes on the Water fund raising event! Halibut division guys will have the option to check in here online the day prior and launch any time after 4 am from Santa Clara Point. Bass division will be a shot gun start at 7am. We expect a great bunch of raffle prizes. Our goal is to raise $5000 for the Southern California chapter of Heroes on the Water. 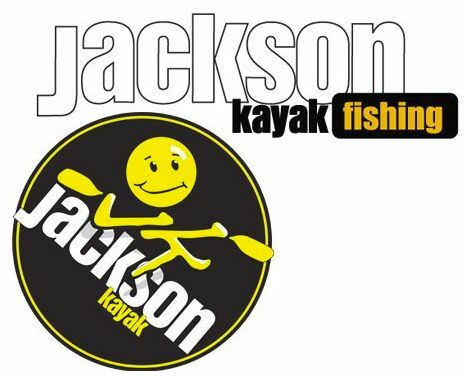 We anticipate this being one of the biggest kayak fishing tournament in California in 2018. Mark your calendars and Check back here for all the details! We will be adding to this periodically as we iron out all the details. I have set up a PayPal link below. Cost is $25. Kids under the age of 18 fish for free with a paid adult. prize payouts for the top finishers, all proceeds going to Heroes on the Water! ***By participating you must adhere to a code of sportsmanlike conduct. Any angler who violates the rules of the events may be disqualified and banned from future participation in all future events as well as all website interactions. This includes conduct before, during and after events both on and off the water as well as online. Conduct deemed inappropriate may be grounds for disqualification or denial from participation in any events or website activities. Judgments of conduct are at the sole discretion of the tournament directors, assisted by website moderators and host facility owners. 1. Sand, Spotted Bay and Calico Bass are the only allowable fish for weighing towards your final stringer. 2. A tournament win is based on the total weight of 3 heaviest fish at the final weigh-in at 1pm. 3. All bass submitted must be alive and at least 14" in length. 4. Artificial baits only. Scents are allowed - squid or other cut bait is not. Berkley Gulp! is allowed. 5. 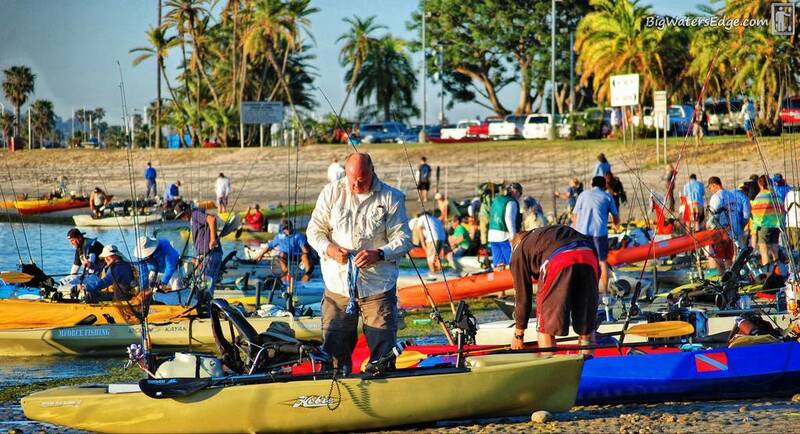 All fishing must be from a kayak, canoe, SUP or float tube. No trolling motors or propulsion systems, human power only. 6. Fish Finders and GPS units are allowed. 7. Tournament hours will be from 7am until 1 pm. You are responsible for being on time to the final weigh-in. 8. Scoring will determined by the total weight of an angler's 3 heaviest bass as weighed by the weigh boats. 9. You may weigh up to 10 total bass (no more than 5 in your tank at a time) while complying with DFG regulations. The angler is responsible for keeping track of the number of fish weighed. Attempting to weigh more than 10 bass could result in disqualification. 10. You must abide by all DFG regulations. 11. Bait barge ruling this year, no fishing within 20 yards, that means you or your lure/bait. 12. Fish anywhere inside or outside the harbor as long as all other rules are followed. 13. All inquiries, objections or complaints concerning any believed infraction of tournament or DFG rules needs to be stated PRIOR to the awards ceremony. The halibut division. Very simply, the biggest halibut weighed wins. There will be prizes awarded for the top 3 fish weighed. This is a separate division that you will specify upon check in. (you can check in the day prior online) In this division you may use live and cut bait and fish more than 1 rod at a time. You must launch and land from tournament location, but are able to fish in or outside the bay! Live bait can be brought, bought or caught. Fish must be hooked, fought and landed from the kayak unassisted. Final weigh in is 1 pm and you must be in line at the scale no later than 1 pm. Last edited by Iceman; 04-27-2018 at 10:13 AM. Couldn't wait had to sign up now. Can't wait to be at and fishing the best fishing tournament in SD. No idea if I can make it, but signed up and paid for a great cause. Seigler SGN, a compact reel with crazy free spool and TONS of drag stopping power. Last edited by Iceman; 02-16-2018 at 08:37 AM. Dana Point Parasailing has given us a tandem parasailing voucher again this year for the raffle! I see these guys all the time when fishing Dana Point, looks super fun! Jorge, hope you can make it this year! Sponsors keep stepping up! Everingham Bros is sending us vouchers for bait scoops! Werner has just offered a paddle again this year! I just added Scout Inflatables to the sponsor list, some lucky person is going to win a 365 with stand up bar! Thanks to FlyinRyan and Scout Inflatables! Last edited by Iceman; 02-02-2018 at 09:49 AM. Tormentor is sending us some Nuffs, caps and beanies. I have been wearing the Nuffs for some time keeping that skin cancer at bay! Andy, I believe i mentioned this last year but are you planning on setting up raffle ticket sales via PayPal?